Discussion in 'Exhaust & Downpipes' started by webby, Feb 18, 2013. Injen has always been great at getting maximum airflow into your motor. Now they have turned their attention to making exhaust systems to match that increased airflow for power gains across the RPM range of your Civic! Starting with 304 stainless steel each system is computer assembled from bending, to CNC'd flanges, through final assembly welding. This guarantees a great fit and consistent performance from every system. 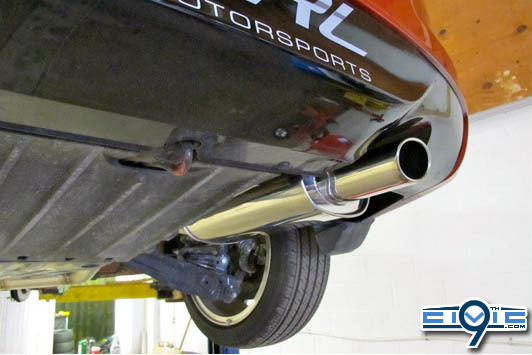 The Super SES exhaust systems utilize a flow through muffler for maximum power and an aggressive tone. Finally each exhaust is finished off with Injen's embossed flared tip design for show stopping looks to compliment the additional power. 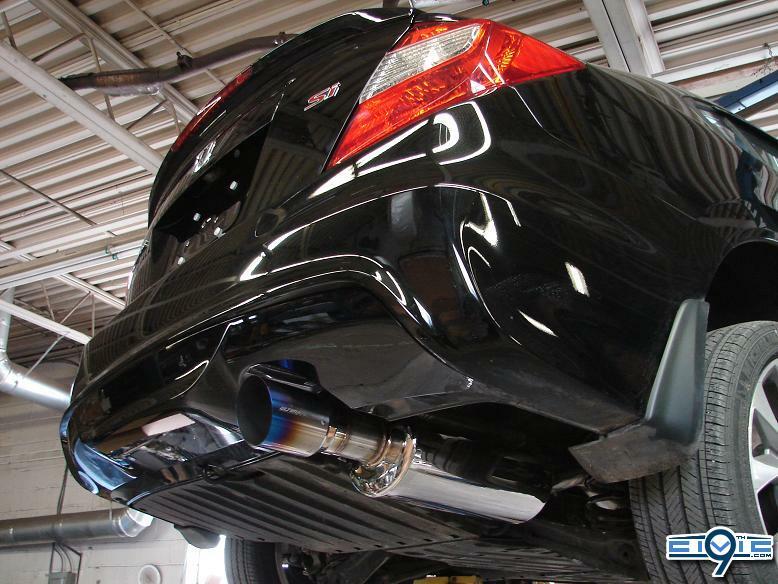 This exhaust from CT Engineering (formerly Comptech USA) is perfect for Civic Si owners who want a performance exhaust that looks and sounds like something Honda should have put on the Si from the factory. 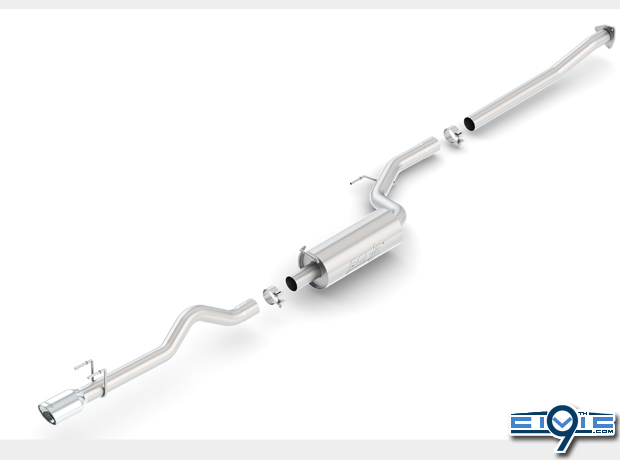 Not too outrageous, but not too quiet, the CT Engineering exhaust is the perfect blend of power and refinement. As with all CT Engineering parts, the quality and design is second to none. 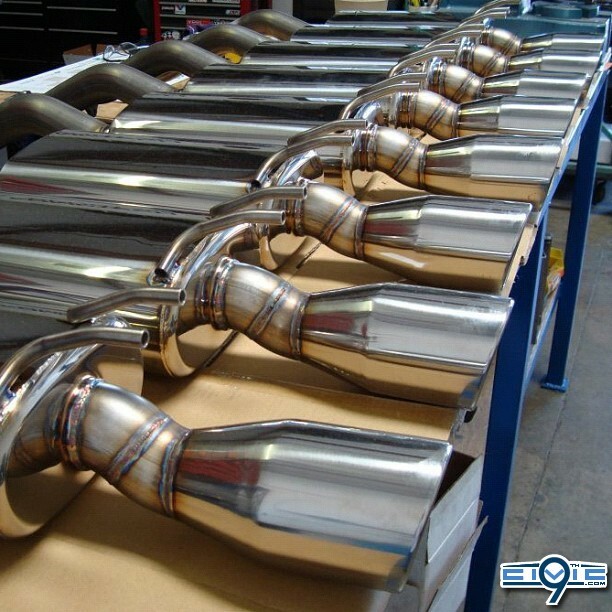 Full stainless steel, mandrel bent 2.5" cat-back exhaust system. TIG-welded by hand (in-house) for only the finest quality welds. 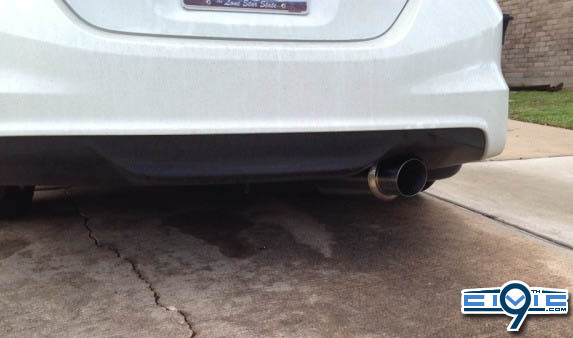 Polished muffler, polished resonator, and 4" polished and resonated tip. Smooth, aggressive tone refined for the street. 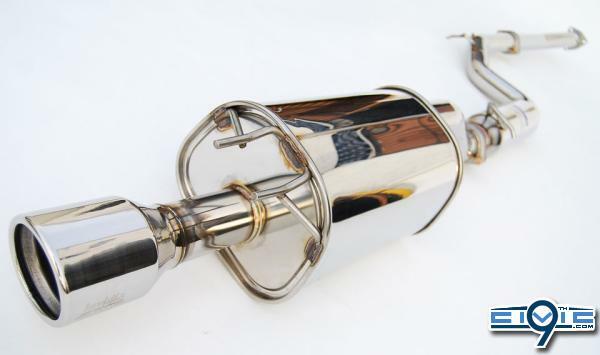 MagnaFlow performance exhausts are 100% stainless steel and lap-joint welded for solid construction and rugged reliability even in the most extreme conditions. 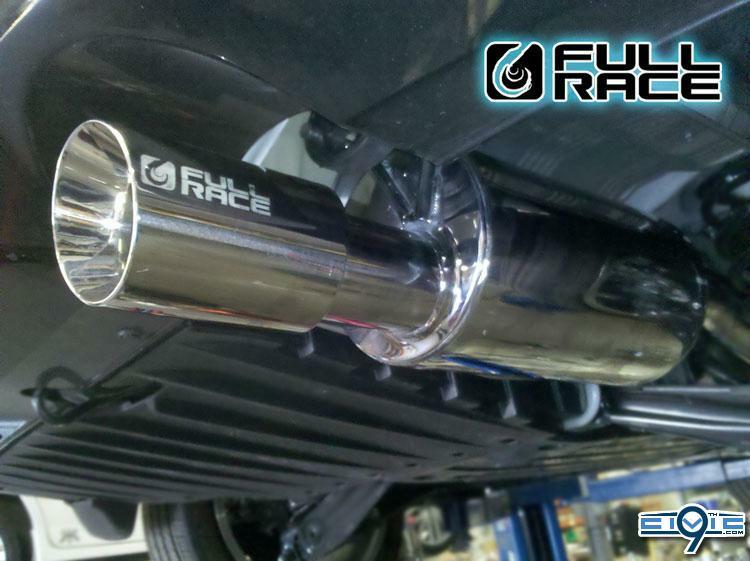 The mufflers used in each MagnaFlow exhaust system feature a free-flowing, straight-through perforated stainless steel core, stainless mesh wrap, and acoustical fiber fill to deliver that smooth, deep tone. 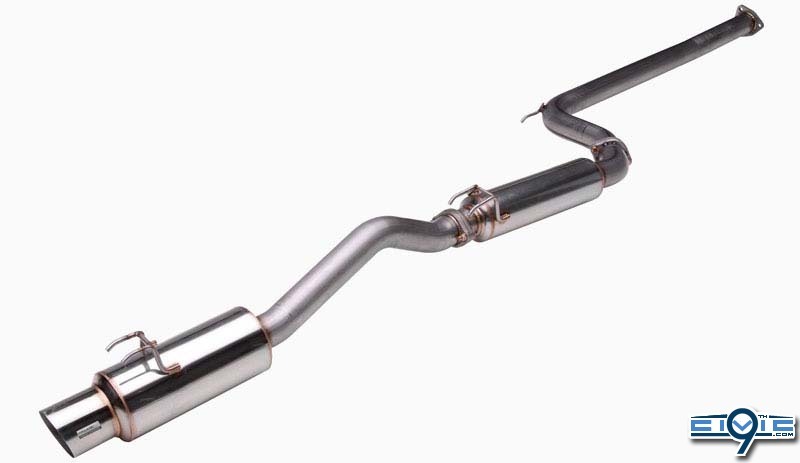 MagnaFlow mufflers outflow OEM chamber style mufflers by as much as 167%. 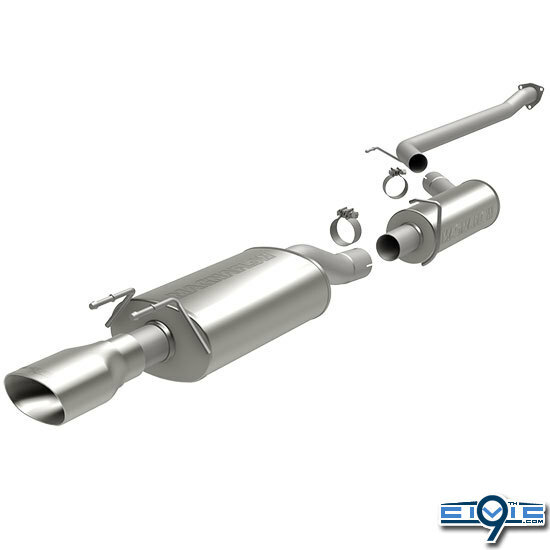 In addition to this, MagnaFlow mufflers are packed tight with this acoustical material to ensure long life and no sound degradation over time. 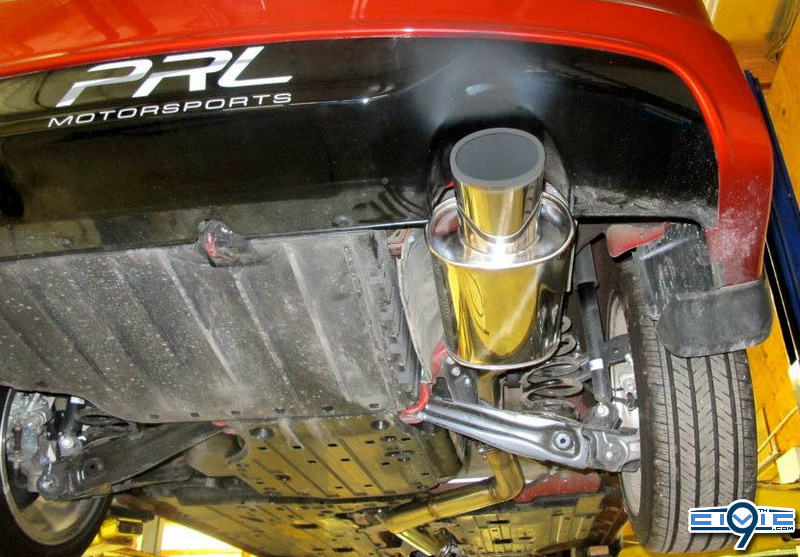 100% stainless steel, mandrel-bent exhaust system. Reduces backpresure while maintaining a rich, powerful performance tone. Features a dense wall of acoustical absorbing material to dampen out annoying exhaust frequencies. Straight-through design prevents excessive heat retention allowing the entire system to run cooler and last longer. 70mm Piping Diameter, 101mm Titanium Tip. Blending performance and price, the Invida N1 Exhaust is a modern interpretation of the classic N1 racing style exhaust. 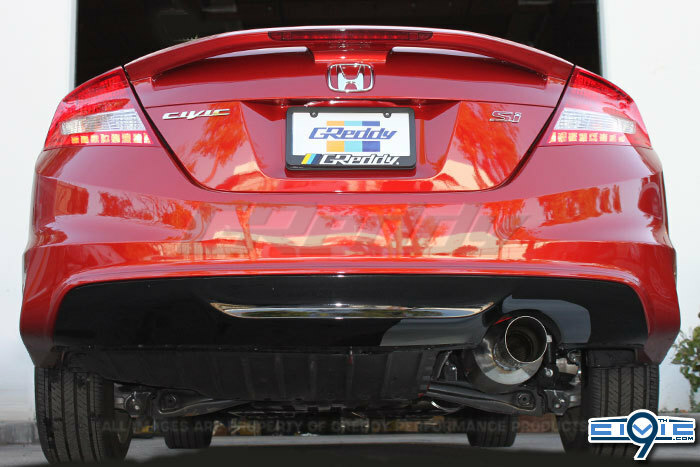 The Invidia N1 exhaust offers an aggressive sound and mid-range to high-end torque and horsepower gains. 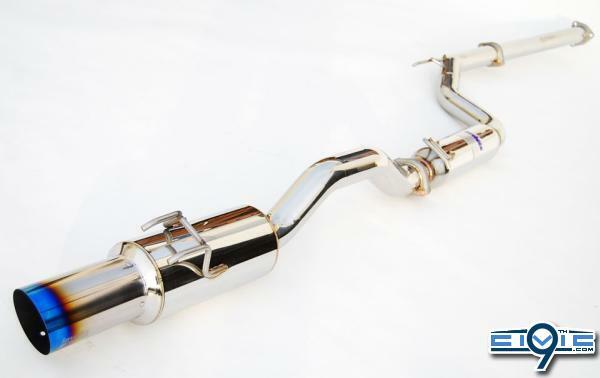 Invidia starts with full stainless, mandrel bent SUS304 stainless steel and adds CNC machined flanges for perfect fitment, and finishes with a light weight single wall muffler tip. The whole system is polished for a show stopping shine, and uses a burnt titanium or mirror polished stainless steel tip. 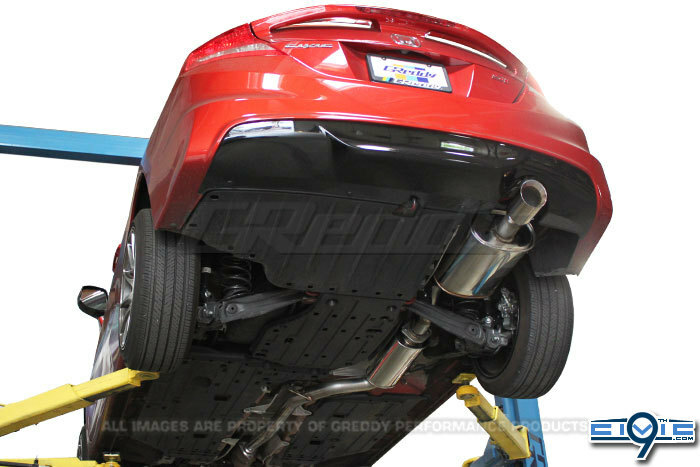 Each Invidia N1 exhaust uses properly sized piping to maximize exhaust velocity while minimizing back pressure to maintain performance throughout the RPM range of your motor. 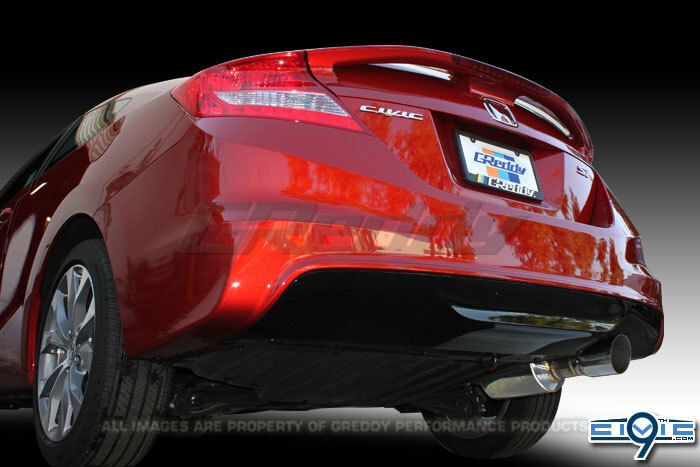 When you're looking for the perfect blend of performance, price, and style, the Invidia N1 is the exhaust to turn to. 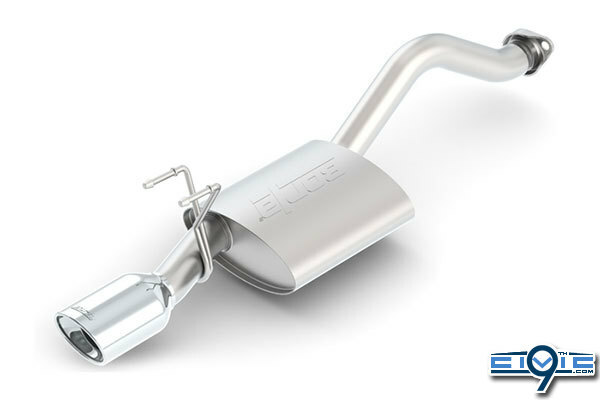 Designed to increase mid-range and top-end horsepower more than other exhausts. Full SUS304 polished stainless construction. Choice of Polished or Burnt Titanium tips. Large muffler for sound control. Bolt-on design for simple install. 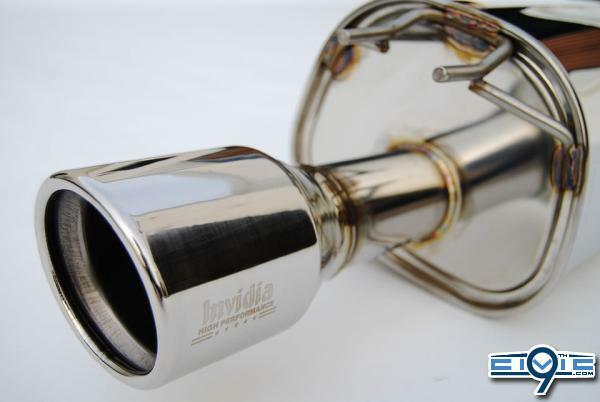 Blending a high flow, large diameter polished piping design with a full canister, continuous flow muffler, Invidia's Q300 system is one of the most powerful street oriented systems available. 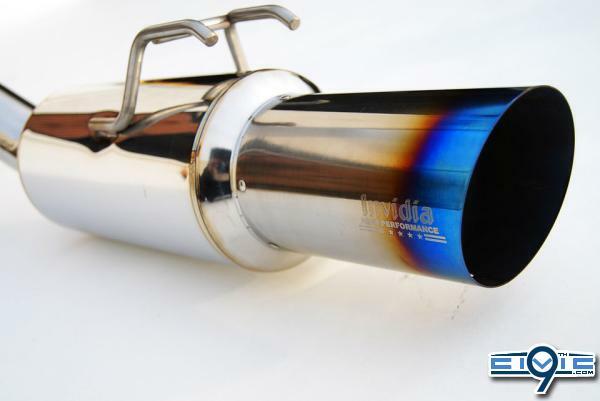 The start of the Invidia Q300 exhaust is polished SUS304 stainless steel which is mandrel bent in Invidia's state of the art production facilities. CNC made flanges are then robotically TIG welded to give exceptional fitment and durability. Lastly, the Q300 exhaust muffler is added to finish the exhaust off. 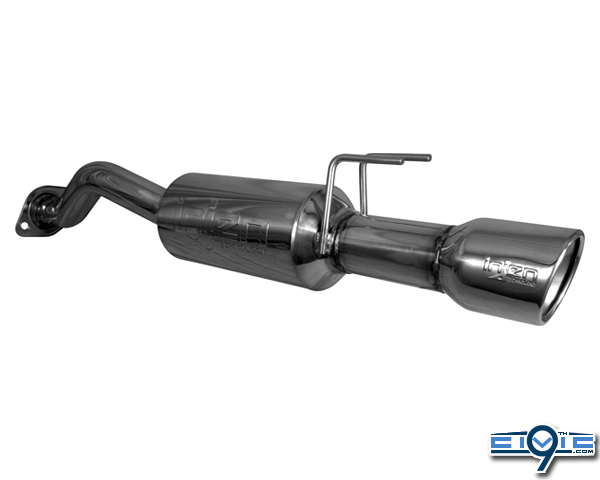 This muffler uses a flat bottom design to maintain ground clearance on lowered cars, high absorption Advantex packing for a deep sporty tone, and dual walled titanium or stainless tips to dress up the appearance of your Honda Civic. 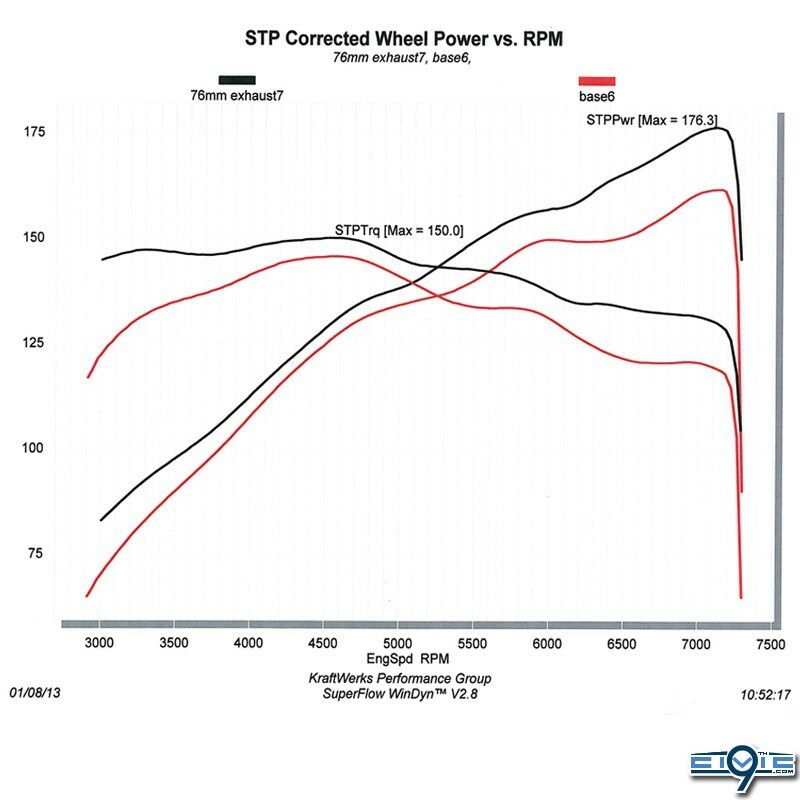 Q300 systems work great on NA (naturally aspirated) and forced induction vehicles alike due to the optimized piping diameters for maximum power production with a daily driver friendly exhaust note. Race-style resonator (yields the most power). No silencer required for street use! CNC machine mandrel-bent 2.75" stainless steel tubing for maximum exhaust flow. 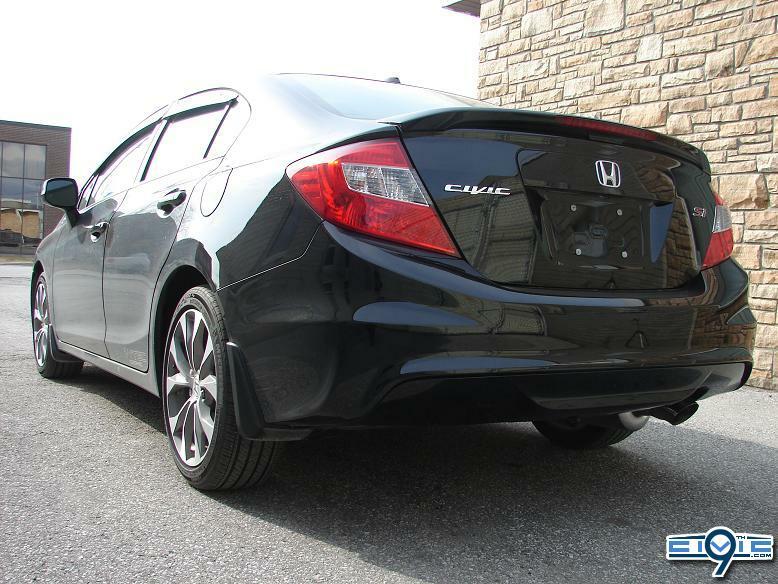 Features 4.0 " slash cut exhaust tips. Silver8th, TheNightRunner, Tom's Si and 2 others like this. 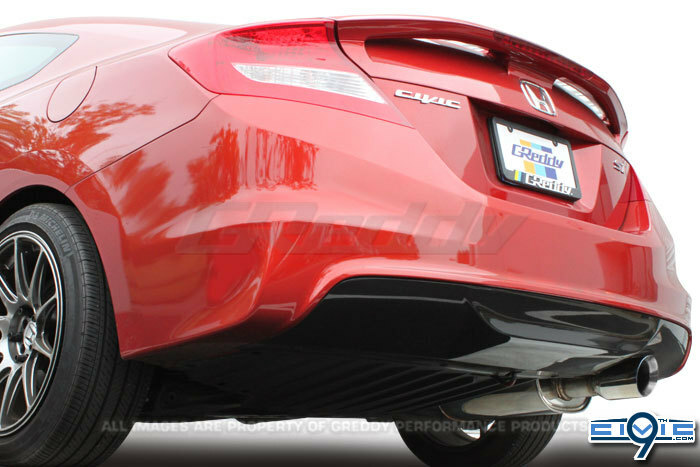 Borla cat-back exhaust 2.50" pipe - 2012 Honda Civic Si Sedan, oval tip. Dar-Dar and MrsJrotax101 like this. awesome webby. thanks. id love to see / read some user reviews!! im tossed up between Tsudo and Full Race. its a hell of a deal on the Tsudo but im concerned with noise level. webby and Kurt Muehlbauer like this. Tom's Si and Sinub like this. i just watched a youtube video on UR for the 9th gen. it sounds like my old singlecam eg. really high pitched i thought....maybe it was just that video tho. ...So the set up I will have is: U.R. 3" exhaust w/ the 2nd muffler option (instead of a resonator it's an additional muffler, so kinda like a single sided dual muffler if that makes sense) mated with a U.R. 3" DP w/ no cat option. Should sound loud BUT clean with the extra muffler on there. this is great, thanks webby! 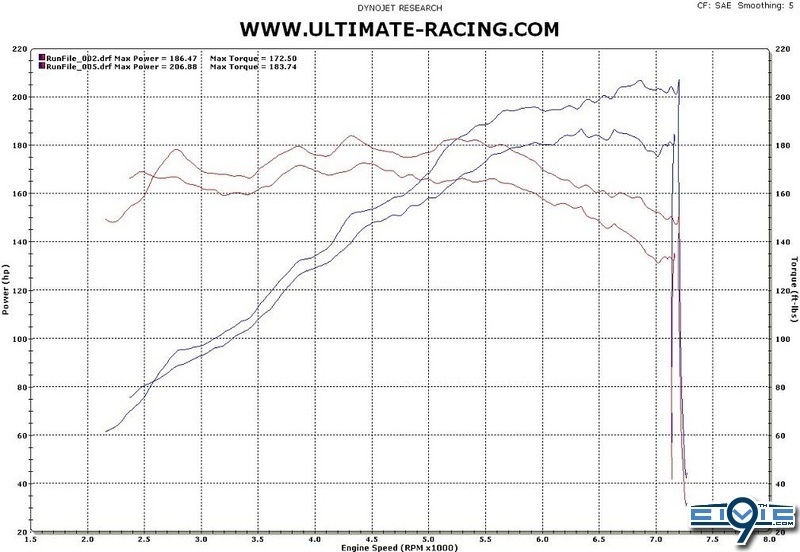 Does the Injen axle-back really give any gains at all, or just sound? some users have given reviews of the injen in these threads below. Anyone have the Borla axel back on their R18's yet? webby and FG3 Dude like this. 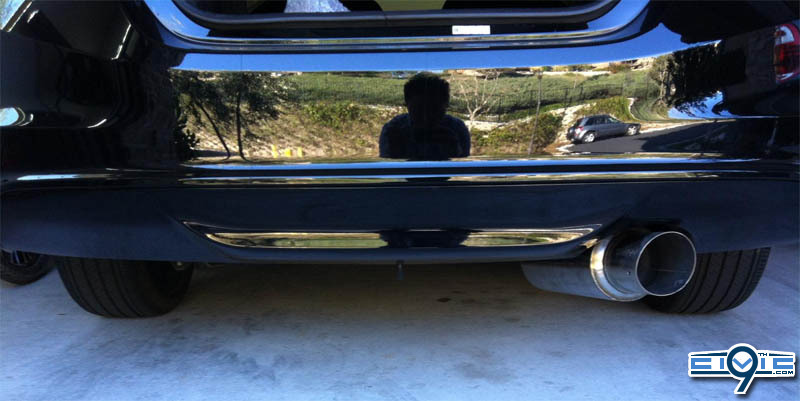 Does the SI axle back's tip fit good below the LX'S bumper? and what year did you use? I haven't installed mine yet.. I have been away for work for two months now.. I have a pile of parts waiting for me at home.. Here's an 09 axle back on a 12 lx coupe.. Sedan fitment I have no idea til I try when I get home. I got the Ultimate Racing cat-back without the resignator or second muffler and header/downpipe without the cat. It sounds amazing. Quick question, will an Injen Axle back exhaust fit non SI models?